Kayak fishing is one of my true passions, its an amazing sport which is rapidly growing in popularity. 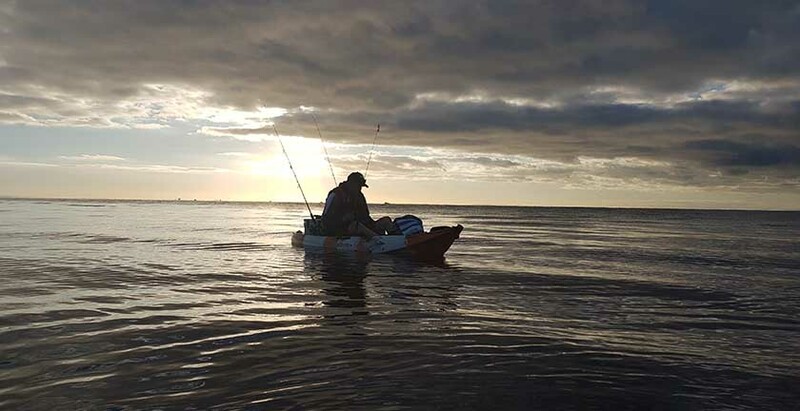 There is however some dangerous elements to kayak fishing, If you have recently purchased a fishing kayak, or thinking of taking up this sport take please take some time to consider these basic safety tips. It will ensure that you kayak fishing adventures are fun and safe. Here are 15 Kayak fishing safety tips to get you started. When first starting your kayaking adventures make sure you go out with other experienced kayak anglers. This is the best way to learn, and fast track your skills. If you don’t have any friends with their own kayak then look to social media fishing or kayaking groups. You’re not alone, there are lots of other people in your area who are also just starting their kayak fishing journey as well. 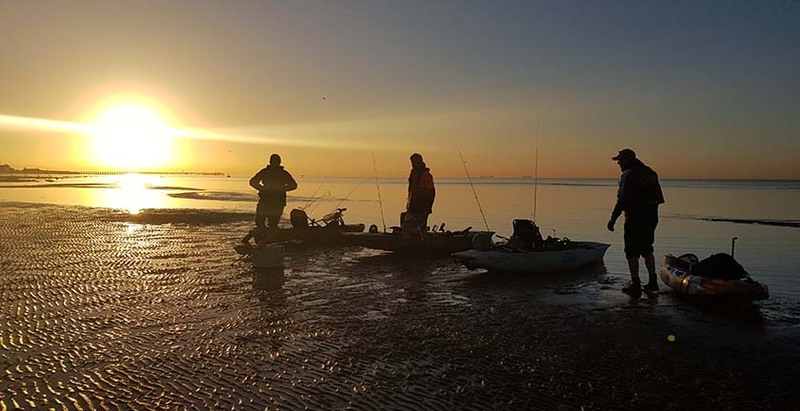 Use social media as a mechanism to connect with other kayak anglers in your area. Use some common sense and know when not to launch. If you turn up to your destination and the conditions look unsafe then don’t go out in the water. You will learn this more with experience but never take unnecessary risks. Always wear a life jacket regardless of what system your fishing. If you purchase an inflatable life jacket then remember to have it serviced or replaced as per manufacturers instructions. Be organised on the water. Don’t take too many rods, and have a secure spot for knives, scissors, tackle boxes. Buy a walkie talkie and communicate with your buddies frequently. They are very affordable and can also be a lot of fun. But there a great way to let others know that you need assistance. Never go out in poor weather conditions!!. Download weather apps and carefully study the weather forecast before planning your trip. Learn to read wind and swell patterns and how it impacts the area your fishing. Apps such as Meteye, and willysweather are good starting spots. When fishing with bait keep the drag on your fishing reels set nice and loose. We have seen kayakers go overboard after landing a stingray, banjo or large fish and not having enough time to react and loosen the drag. UV rays reflect strongly of the water and its easy to get sunburnt, so be sun smart. Start with a couple UV shields for your face and neck, UV gloves, sunscreen, and a bottle of water. Keep as much of your skin covered as possible. Often Kayakers go out and forget to cover there legs and end up very sunburnt. When beginning start slow to build up your confidence and skillsets. Perhaps start in lakes, rivers and estuaries on calm days. Then build up towards the bay. Always let others know where you’re going. Make sure they know where your launching from, who your going with and what time your expected back. Keep space between you and others. Especially boats and powered vessel which will give you time to react and ensure your not placed in unnecessary dangerous situations. Wear high visibility clothing and if possible a flag mounted on your kayak. This will help others know where you are on the water. Practice getting back on your kayak. Even putting aside a few days in the shallows in a safe spot to pretend you have accidently fallen off so you can practice getting yourself back on the kayak. This is a skill that takes practice., but may save your life if you capsize in cold or deep conditions. Know your own physical limitations. There is no use paddle way out if you don’t have the stamina to come back in, this is just putting yourself at risk. Always make sure your not to exhausted to get back to your original location or that you cant paddle through currents and tidal flows. There are more key safety ideas that you can look into, these 15 tips will get you started. Your skills and awareness will improve with experience, so get out there, stay safe and learn of others.